Posted on April 19, 2018 by Lisa B.
April is all about binding. This is the last installment of our modern mini challenge education series and we’ll be exploring different techniques for binding and facing a quilt. Your minis are due at the May meeting. I love a good mystery, don’t you? Nancy Powell will be presenting the first set of directions for the BNMQG Mystery Quilt that she has designed. This is always fun and I hope you’ll join in! Posted on August 9, 2017 by Lisa B.
Hello Modern Quilters! There was a lot to catch up on at the July meeting. First of all, Kathy thanked our refreshment providers, Celese and Marge. Lori LeVar announced that the De-Stash Sale held in May raised $788! The committee not only sold items at our guild meeting, but at two other locations to maximize sales! Committee members were Sue Kaiser, Kris Zimmerman, Viv Browning and Ann Unes. Ann G reported that we had thirty five members present, one new member, Judy, one guest, Hope, and six guests from Champaign. She reminded everyone that dues for the next year can be paid in August or September. Members not paid by October 1st will be removed from the mailing list. Posted on July 13, 2017 by Lisa B.
June’s meeting was held at the Methodist Church in downtown Bloomington. Five guests from Champaign and 40 members were present. Kathy Cook welcomed everyone and thanked Celeste, Nancy, Carol and Lisa for the picnic-themed refreshments. Hospitality Chair Lee Anne Fritz asked for volunteers to bring refreshments for future meetings. Contact her if you are willing to help. Kathy then introduced our presenter, Patty Young, author, fabric designer for Riley Blake, and owner of ModKids. 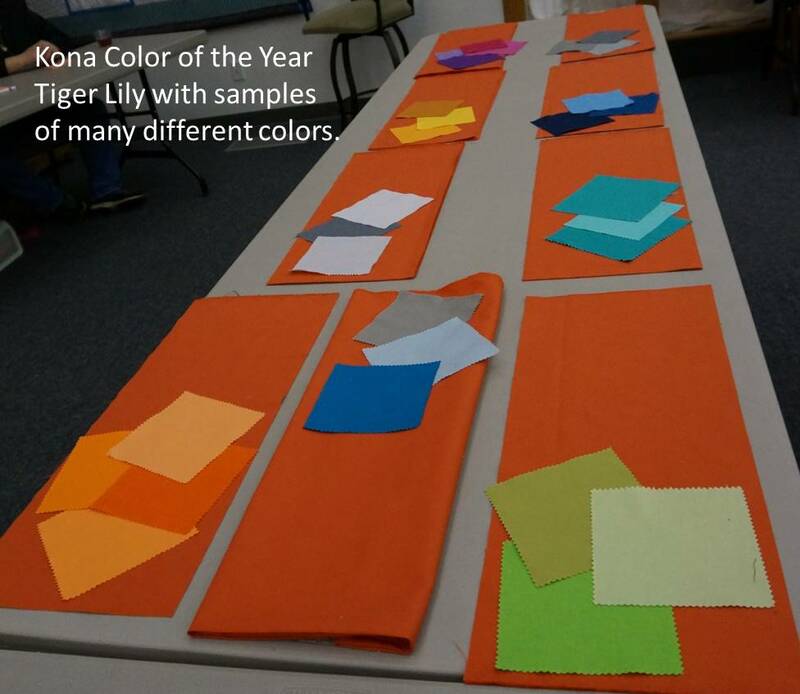 Patty talked about the trends she saw at this year’s spring quilt market, a trade show open to shop owners for all things quilt-related. The trends she noted this year were rainbow and animals. She showed pictures from market that showed these trends, and shared pics of several of her new fabric lines for Riley Blake. Attendees also had a chance to shop her patterns and some fabrics she brought. It was a great program- Thanks, Patty!